Approved class FFP2 protective mask, for protection against health-hazardous dry and liquid-borne particles. Typical application areas include metal dust, glass fibre dust, polishing dust, building dust etc. CN P2 masks are packed in individual hygienic plastic bags, with 20 bags in each box and 200 in each transport case. Nominal Protection Factor 12 and Assigned Protection Factor 10. Order 20 or more at a price of £21.00 per item. Segre UK is the producer of the well-known CN disposable masks. 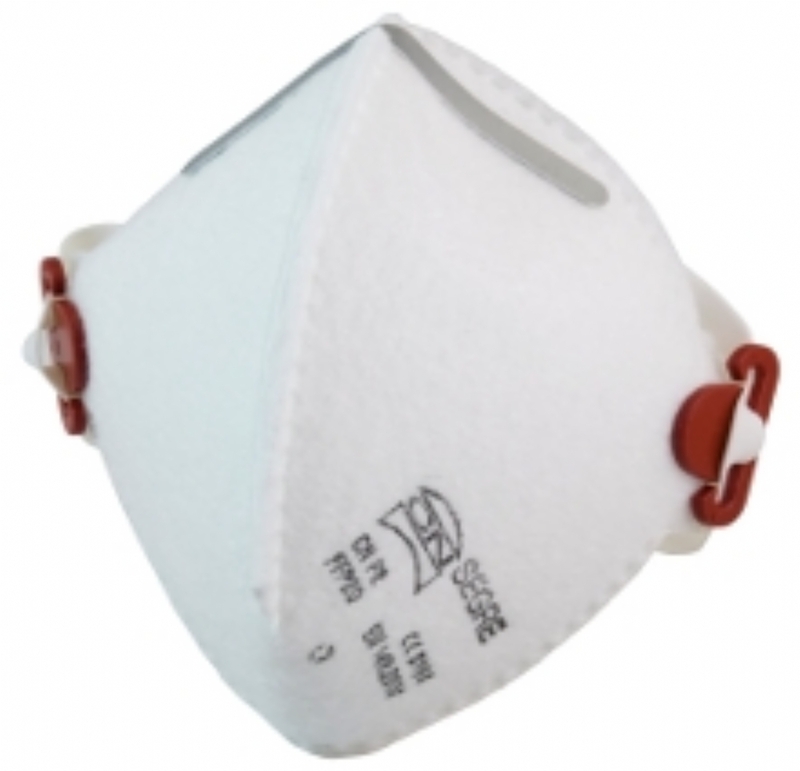 The CN disposable mask is the original of several copies of this type of "folding" mask. Although it can be difficult to distinguish the differences with the naked eye, they become apparent in use. CN Particle filter masks are produced under Quality Control Standard ISO 9001:2000.